We call on artists, creative organizers, concerned citizens, and all community members to join together from April 2-8, 2018, to draw inspiration from and breathe new life into the prophetic words of Dr. Martin Luther King, Jr., strengthening our commitment to speak truth to power and sparking creative action in the year ahead. What #RevolutionOfValues is needed now? #WhatWillYouStandFor? April 4, 1967, marks a critical turning-point in the life of Dr. King. On that date—one year to the day before he was assassinated—he delivered a talk entitled “Beyond Vietnam: A Time to Break Silence.” The occasion was a meeting of Clergy and Laity Concerned about Vietnam, held at Riverside Church in New York City. Fifty-one years later, to walk in his footsteps, to give voice once again to his powerful words, and to kick off a year of efforts by many organizations around the U.S. to remind people of Dr. King’s real message and unfinished work, the U.S. Department of Arts and Culture and partners are sponsoring #RevolutionOfValues, a week-long National Action taking place from April 2-8, 2018. Click images for artist credit and to download. 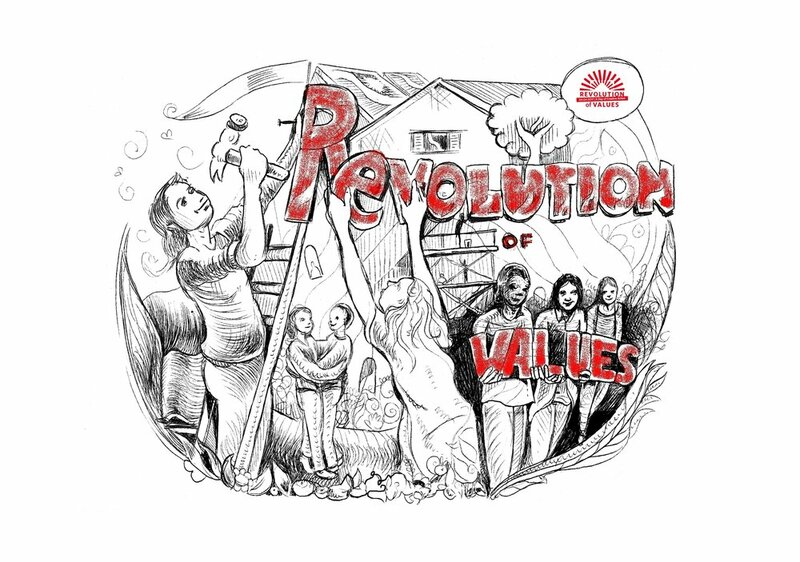 The gallery below is made up of images and actions from #RevolutionOfValues 2017 and 2018 taking place all over the country. We encourage you to share your experience using the hashtags #RevolutionOfValues and #USDAC, and we will share here. 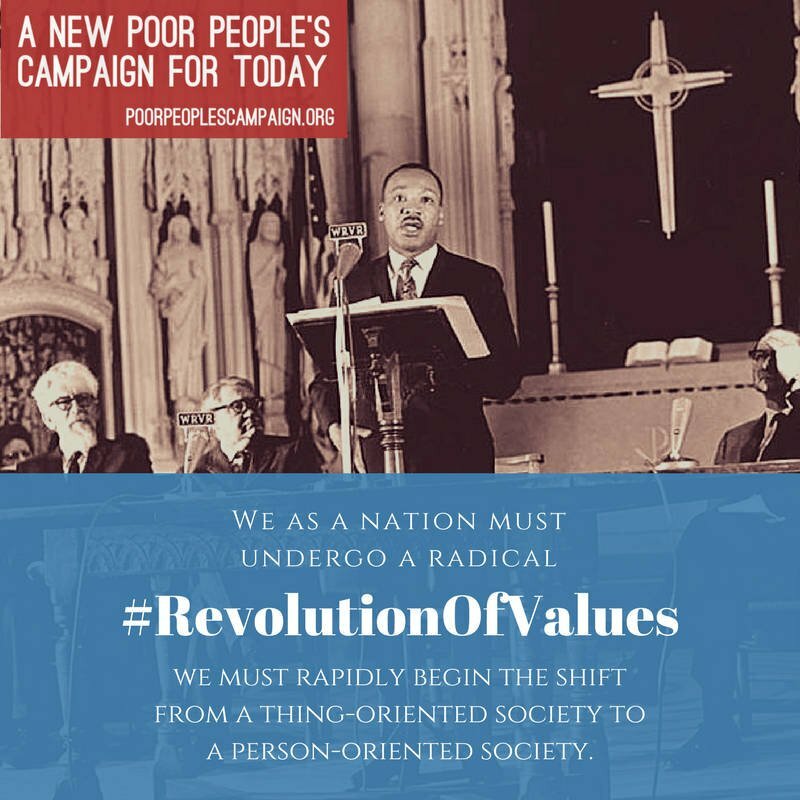 The New Poor People's Campaign videoAmerica Will Be - Episode 1: Uniting a Movement"
Host a #RevolutionOfValues Open Mic with poems, music, performance, and other writings inspired by the speech and/or by the prompts below. Host a Story Circle, inviting friends and neighbors to share stories in response to the prompts below using this powerful, easy approach to dialogue. 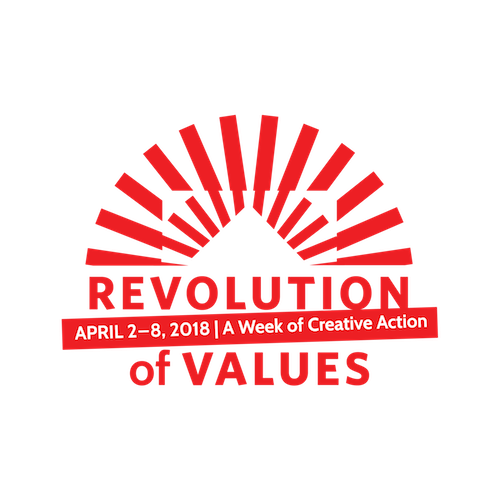 #RevolutionOfValues events can take place anywhere—in your home, school, place of worship, community center, library, art studio, local cafe, public park, etc.—and on any scale that makes sense for you and your community. April 4th, 2017, marked the 50th anniversary of Dr. Martin Luther King, Jr.’s, groundbreaking speech entitled “Beyond Vietnam: A Time to Break Silence.” To walk in his footsteps, to give voice once again to his powerful words, and to kick off a year of efforts by many organizations around the U.S. to remind people of Dr. King’s real message and unfinished work, the U.S. Department of Arts and Culture and partners sponsored #RevolutionOfValues, a one-day National Action on that day. This Citizen Artist Salon was recorded in the lead-up to #RevolutionOfValues 2017. WANT TO TAKE PART? IT'S SIMPLE! 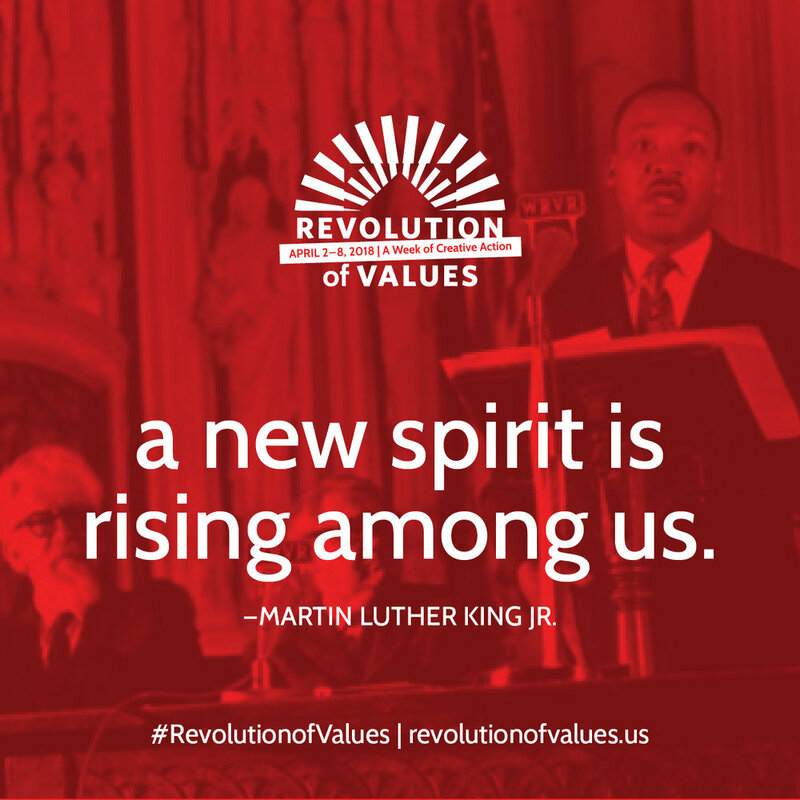 Download the Toolkit and learn how to host a #RevolutionOfValues event and/or take part via social media. If you’re planning an in-person event, schedule it and use the information in the Toolkit to plan and promote it. The Toolkit includes simple, accessible tips and how-tos for taking part in #RevolutionOfValues. 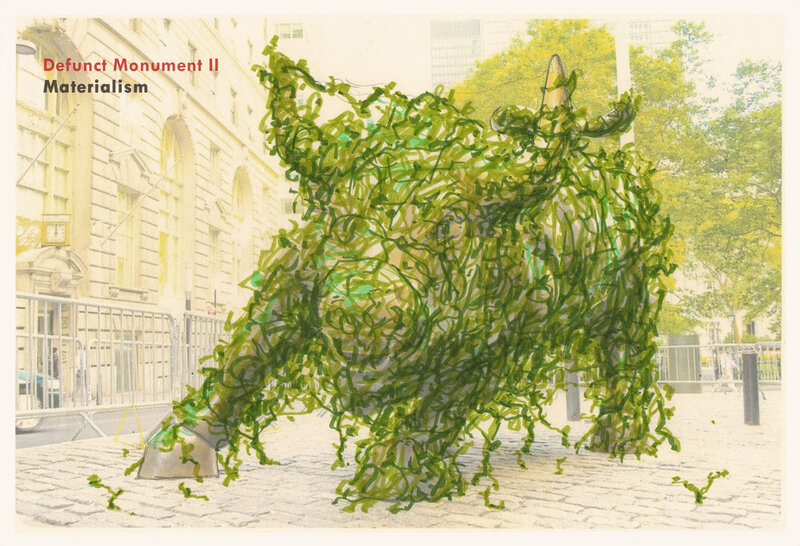 You’ll also get access to the USDAC #RevolutionOfValues Public Folder, chockful of signs, social media graphics, flyers, press advisories, and more detailed project information. Excerpts from the speech from the USDAC. Video from the New Poor People's Campaign. “Radical” is a much maligned word: it comes from the Latin radix (root), and refers to anything that goes to the root of the matter, rather than tinkering with the leaves and branches. Many people have downplayed Dr. King’s deep spiritual and political radicalism, trying to whitewash his true views. 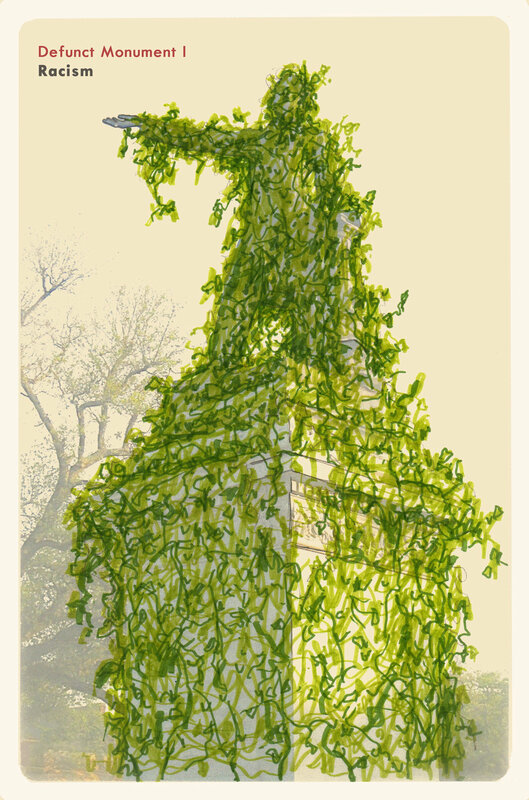 Now it is more important than ever to use our creativity to nourish the roots of love and justice. Share a story, image, or other offering about a time you stepped beyond imposed boundaries to speak truth to and about power. Share a story, image, or other offering that shows how our collective challenges are related and that surmounting them requires us of all. 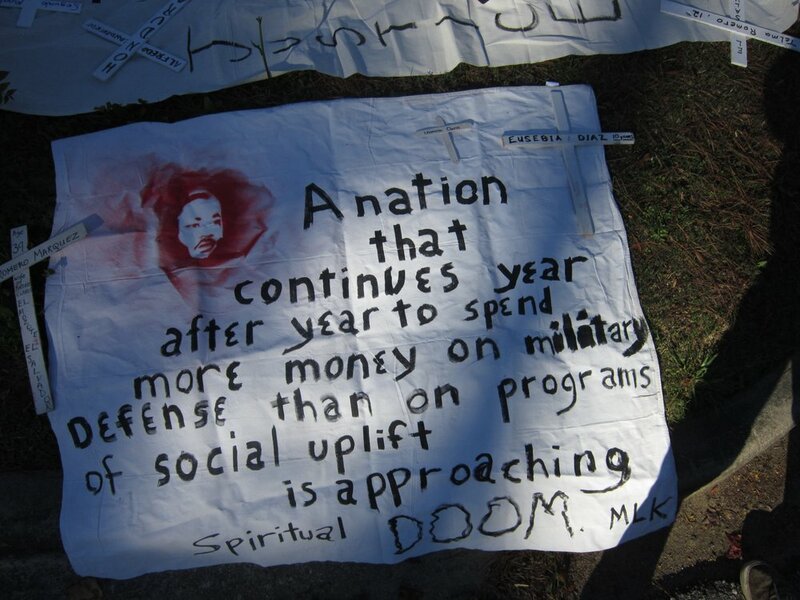 What showed you that racism, militarism, materialism and economic justice, climate crisis, mass incarceration, gender justice, disability rights, and freedom of expression are all connected? Share a story, image, or other offering about a time you questioned the fairness and justice of a policy and decided to take action to help put it right. Below, you will find information on related resources and actions. There are events in many local communities as well, so check community calendars for early April activities. The MLK + 50 project is calling the year from April 4th 2017 to April 4th 2018 a “year of truth and transformation.” The website for this interfaith education and action project, hosted by The Shalom Center, features a wealth of written resources. The National Civil Rights Museum is hosting a year of commemorative activities under the heading "Where Do We Go from Here?" 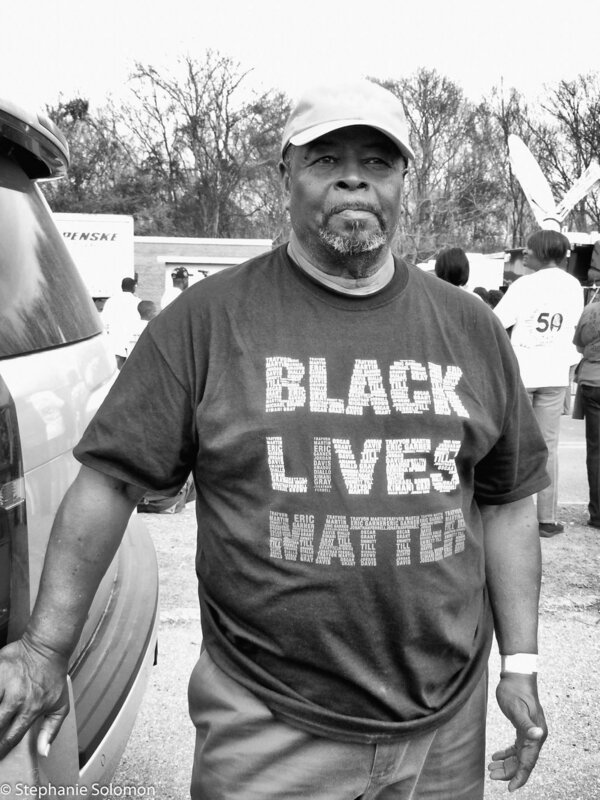 The National Council of Elders, which is led by sixties civil rights movement veterans, offers resources at its website. The King Center provides a calendar of events under the heading "MLK Forward." We are now faced with the fact that tomorrow is today. 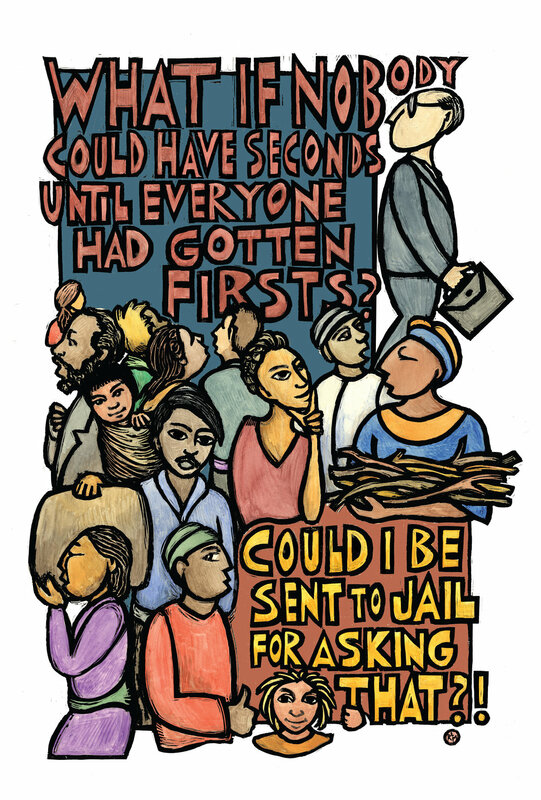 We are confronted with the fierce urgency of now. In this unfolding conundrum of life and history there is such a thing as being too late. Now let us begin. Now let us rededicate ourselves to the long and bitter -- but beautiful -- struggle for a new world.